Unfortunately, your registration has been declined by the auctioneer. You can contact the auctioneer on +44 (0)114 281 6161 for more information. You are the current highest bidder! To be sure to win, log in for the live auction broadcast on 12 Aug 2017 10:00 BST or increase your max bid. If packing and postage of a Lot is important please check prior to bidding what the potential arrangements and costs would be. Overseas buyers; we recommend that you contact an external pack and post company as soon as possible for a quotation. For items which are small / lightweight (i.e. under 2kg) and non-fragile we may be able to pack and post in-house, please be aware there is a minimum in-house packing charge of £10 (for small packets, jiffy bags etc.) and £15 (for bulkier boxes) regardless of Lot value. If we are able to P&P in-house we aim to do so within 3 weeks of the auction by insured Special Delivery or Parcelforce 48 only. Payments by card are not accepted from overseas buyers. UK buyers are limited to £250. Saleroom.com buyers should settle by their card registered with the saleroom.com by following the link sent after the auction. Sheffield Auction Gallery's preferred method of payment is by bank transfer for any amount. Payment on collection at the saleroom can be made by cash or card (2% surcharge on credit card). We can accept payments by telephone only for amounts less than £250. We do not offer P&P on every lot (further info below). Buyers must have fully satisfied themselves regarding authentication and condition of ALL items prior to removing items from the Saleroom. 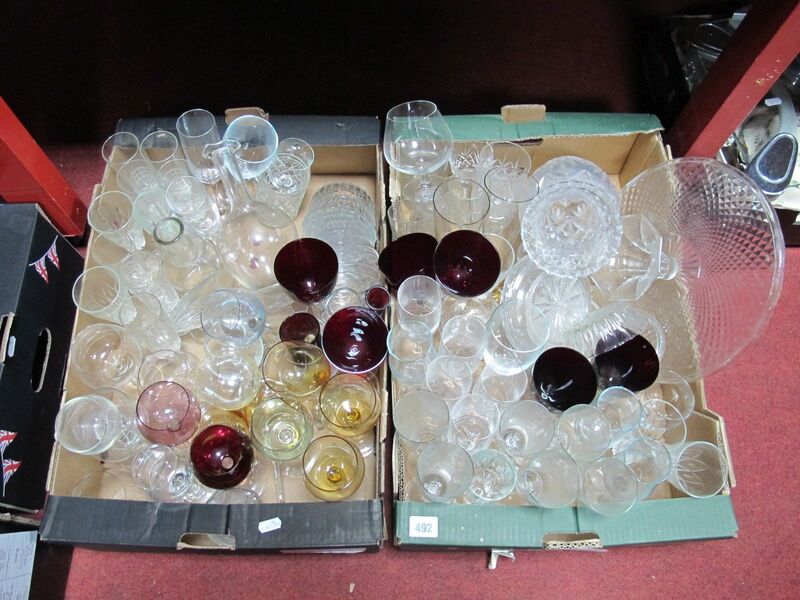 Items cannot be returned after removal from the Saleroom premises. Items purchased un-viewed with third party delivery requested will be deemed to have been viewed; and no returns will be accepted. All other Terms & Conditions apply. If packing and postage of a Lot is important please check prior to bidding what the potential arrangements and costs would be. We can only ship to the cardholders address used to settle the invoice. Overseas buyers; we recommend that you contact an external pack and post company as soon as possible for a quotation. For items which are small / lightweight (i.e. under 2kg) and non-fragile we may be able to pack and post in-house, please be aware there is a minimum in-house packing charge of £12 (for small packets, jiffy bags etc.) and £15 (for bulkier boxes) regardless of Lot value. If we are able to P&P in-house we aim to do so within 3 weeks of the auction by insured Special Delivery or Parcelforce 48 only. PLEASE NOTE – We do not pack, post or arrange to post any edged / bladed weapons or firearms of any type. Please ensure if you intend to bid that you are able to collect yourself or make your own arrangements. Please visit our website for details of alternative delivery/courier companies who can assist with pack and post. Sheffield Auction Gallery are referred to as the Auctioneers throughout these Conditions of Sale. The highest bidder shall be the Buyer and if any dispute arises between the bidders regarding any Lot offered at Auction or any other matter in relation to the same the Lot in dispute shall, at the Auctioneers discretion, either be immediately put up again and re-sold or the Auctioneers most senior member of staff in attendance at the time reserves the right to decide the dispute and their decision shall be final and binding on all parties concerned. The Vendor reserves the right to bid by himself, or by his agent, to alter, vary or withdraw any Lot or Lots before or during the Sale. In order to be registered and approved by the Auctioneers to take part in and bid in any auction the bidders must have registered their name and address with the Auctioneers prior to the start of the auction and have had their identity checked; approval is wholly at the discretion of the Auctioneers. Absentee bidding will require credit or debit card details for security, these details will be destroyed after the auction. The Auctioneers may, without giving any reason, refuse to accept the bidding of any person or persons. The minimum bid accepted by the Auctioneers on any Lot is £5, where the reserve price and any commission bids allows. It is the complete responsibility of registered bidders wishing to leave commission bids with the Auctioneers to ensure that completed commission bid forms are handed to and received by the Auctioneer or Saleroom staff only and that the forms are correctly described; bids or bidding forms handed to any persons not employed by the Auctioneers will not be accepted. Full and correct descriptions are available from the Auctioneer at the bidders request. The Auctioneers accept no responsibility or liability for incorrect purchases resulting from incorrect Lot descriptions, wrongly noted Lot numbers or unclear/illegible bid amounts. Commission bids will only be accepted by the Auctioneers if accompanied by the required name and address identification. Payments. Accounts must be settled in full within 2 working days of the auction. Our accepted methods of payment are cash, debit cards, credit card, bank transfer or cheque. Debit & credit cards are only accepted by person in the saleroom using chip & pin. Credit cards are subject to an additional surcharge of 2% inclusive of V.A.T at the current rate, as authorised under The Credit Cards (Prices Discrimination) Order 1990. Payments by card are not accepted for overseas buyers. UK buyers are limited to £250. If settling an account by bank transfer all applicable bank charges or fees (at either the point of sending or receiving) must be met by the buyer. Cheques received must be fully cleared prior to collection of Lots(s) and this can take up to 10 working days after we receive the cheque. All Lots bought over the internet during Live Internet Bidding or via commission bids submitted to the Auctioneers through the internet facility (on applicable Auctions) are sold subject to a 3% plus VAT (3.6% inclusive of VAT) surcharge on top of the Buyers Premium. This is solely to cover charges incurred in offering bidders this facility. All purchases must be paid for in full before any Lot is removed from our premises. Lots which have been paid for may only be removed during the sale at the discretion of the Auctioneers. Any accounts/buyers remaining outstanding after 4 weeks of the auction will be automatically considered to have defaulted, the sale(s) cancelled, the Lot(s) reoffered in auction or returned to the Vendor(s) and the buyer banned from making future bids with the Auctioneers, the-saleroom.com and any other applicable bidding platforms, the Auctioneers reserve the right to inform other Auctioneers of the details surrounding the non-payment/default as appropriate. Purchasers must settle the whole amount of their accounts for all Lots before they can be removed from the saleroom and the whole amount due must be paid in full within three working days after the day of the auction. If not paid within such time any money deposited in part payment shall be absolutely forfeited and the Auctioneers shall be at liberty to resell the Lot(s) or part thereof that remain un-removed, by public auction or private sale, without giving notice thereof to the Purchaser and any deficiency which arises on such re-sale, together with all expenses arising from such action shall be made good by the Purchaser. Neither the Vendor nor the Auctioneers shall be responsible for any Lot after the fall of the hammer, as from which time all Lots purchases are wholly at the risk of the Purchaser. All Lots must be removed from the Saleroom at the Purchasers own expense not later than three working days after the date of the Auction. Storage is charged at £1 per lot, per day from the date of the auction. In the event of any Lot or Lots remaining un-removed at the expiration of such period the Auctioneers shall be at liberty to re-offer such Lots by public or private sale without giving prior notice to the Purchaser. The Auctioneers shall retain out of the hammer price realized the cost of storage deducted from sale proceeds and any other expenses of such re-sale and the balance (if any) shall be paid to the Purchaser. Should the hammer price realized on such re-sale be insufficient to defray the expenses the Purchasers shall immediately pay such deficiency. In the alternative the Auctioneers may remove and store on or off-site any Lots remaining un-removed as above and the Purchaser shall repay all expenses of such removal and warehousing. All Lots are sold, as seen, with all faults and errors of description, if any. The Purchaser is deemed to have inspected the Lots he buys; if he buys without previous physical inspection he is deemed to have done so entirely at his own risk. No allowance can, in any case, be made, nor shall the Vendor or Auctioneers be answerable for any deficiency in quantities, weight or measurement claimed for after the Purchaser, his agent, carrier or any person employed by him, has removed his Lot or Lots from the premises. The ‘Title of Goods’ passes only to the purchaser after payment in full has been made to the Auctioneers and funds have cleared; The ‘Title of Goods’ covers only those items actually specified in the catalogue description of the Lot in question and does not cover any other items, whatsoever, passed to the Purchaser, by any means, which remain the property of the Vendor and held by the Auctioneers. If any such items are brought to the attention of the purchaser, or are discovered by him, the items must be returned immediately to the Auctioneers. Neither the Auctioneers nor the Vendors shall be responsible for any accident or damage to life or limb which may occur to any person(s) during the viewing, auction or removal of the Lot or Lots. All statements contained in the catalogues and Saleroom notices as to any Lot are made without responsibility on the part of the Vendors or Auctioneers. Intending Purchasers must satisfy themselves by inspection or otherwise to all such matters and as to the physical description of any Lot. Neither the Vendors nor the Auctioneers make or give nor has any person in the employment of the Auctioneers any authority to make or give any representation or Warranty in relation to any Lot. Bidders registering with the Auctioneers, via any format, to take part in any Auctions agree to these Conditions of Sale. Sheffield Auction Gallery reserves the right to amend these Conditions Of Sale at any time and without prior written notice.